Are you a tea drinker? Know someone who is? If you are, you know that the feel of a warm cup in your hands and the smell of herbs and spices can bring calm to the stormiest of days. After all, a cup of tea is synonymous with slowing down and setting aside time for yourself. It seems particularly fitting then, to give a handmade gift to the special tea drinker in your life. 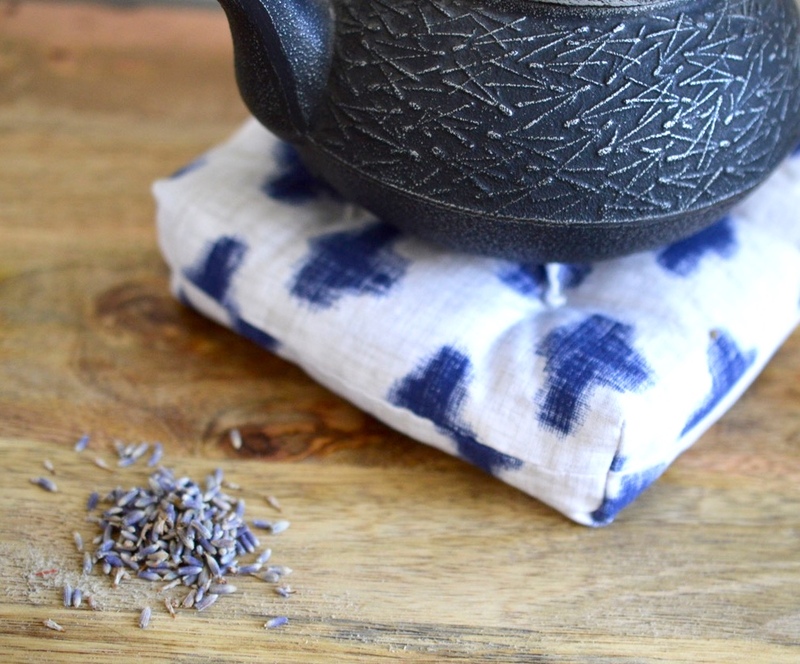 Or, to indulge in making something luxurious and nice for your own tea ritual. 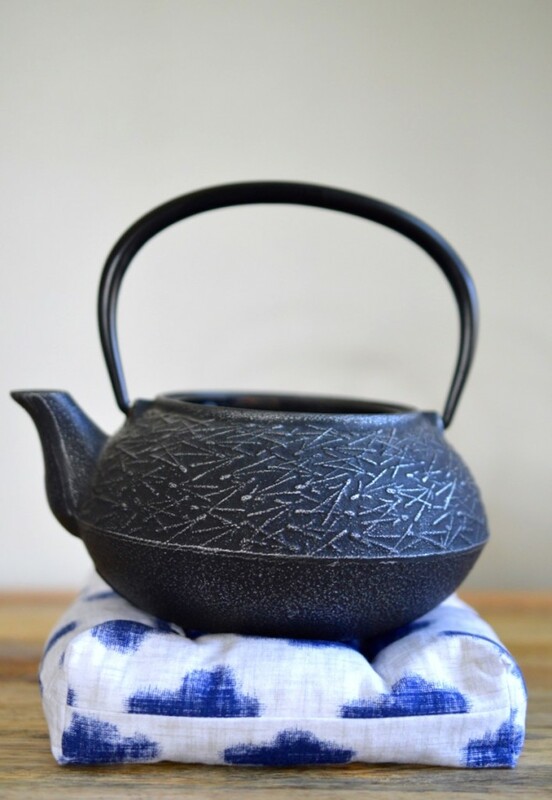 How about a lovely scented tea trivet filled with soothing essential oils and rice, which will emit a fantastic smell when heated with a teapot? How is that for olfactory satisfaction? 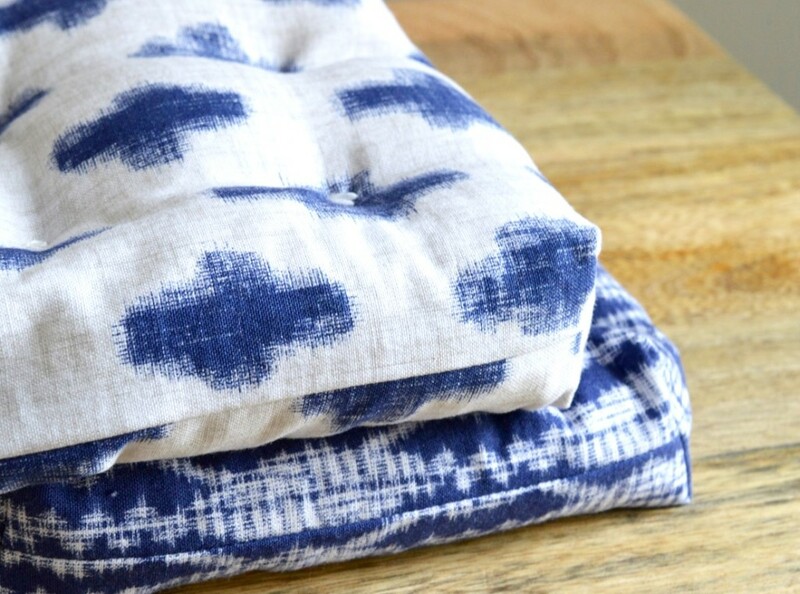 Cut two squares of fabric sized 7.5″ by 7.5 out of both the muslin and the printed fabric. Sew the muslin, right sides together on all sides leaving an opening of around 4-5″ inches along one side. Be sure to sew all four corners. 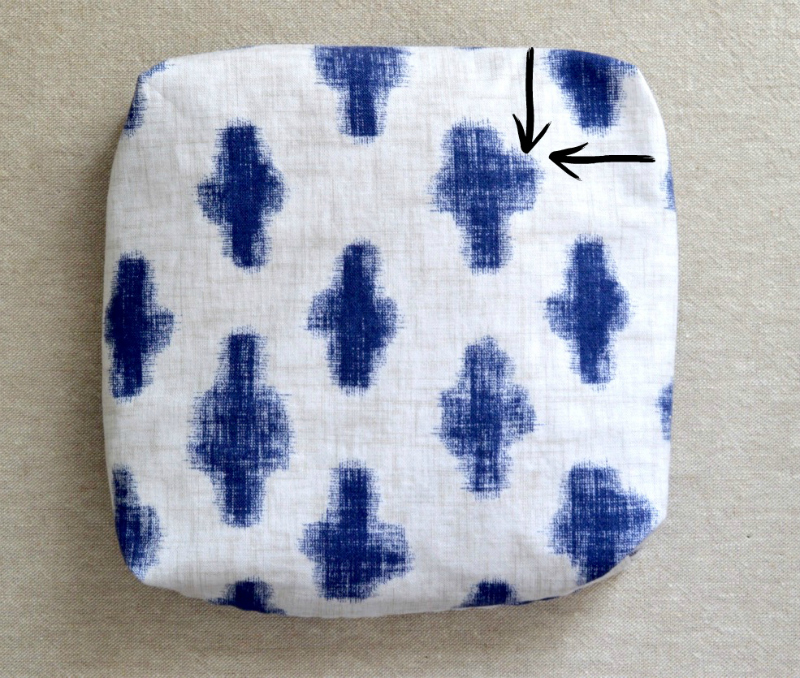 Make Box Corners on all Sides: Placing your hand inside the fabric square, take one corner of what you have just sewn and fold the fabric so that the seam on one side of the square meets up with the seam on the adjacent side. 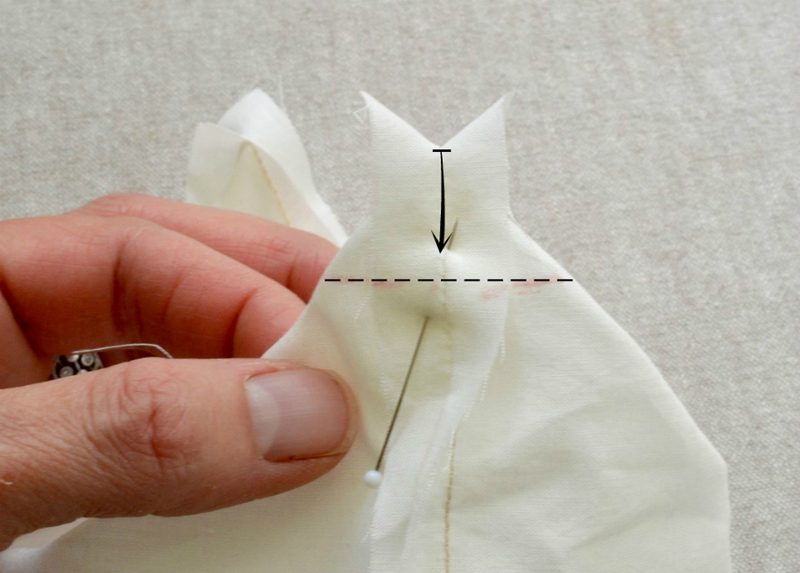 Measure down 3/4″ from the top of the sewn seam and stitch a straight line across. Repeat on all four sides. 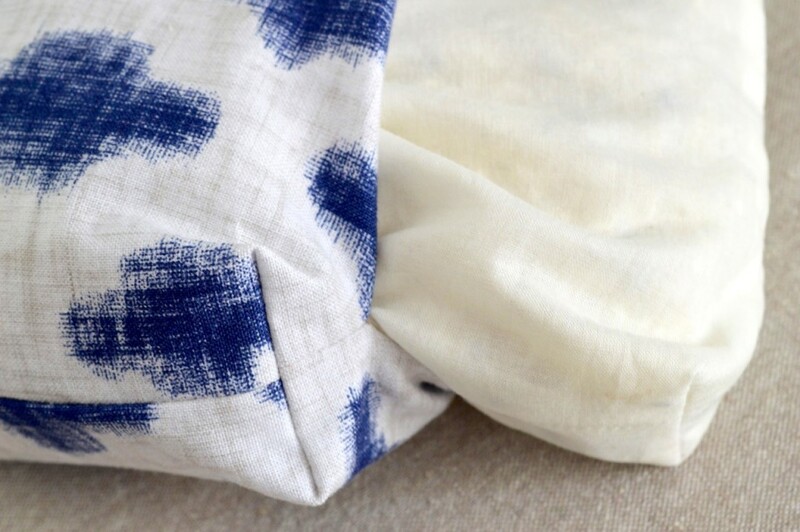 Repeat the same steps with the printed piece of fabric but leave a slightly larger opening, around 5″. 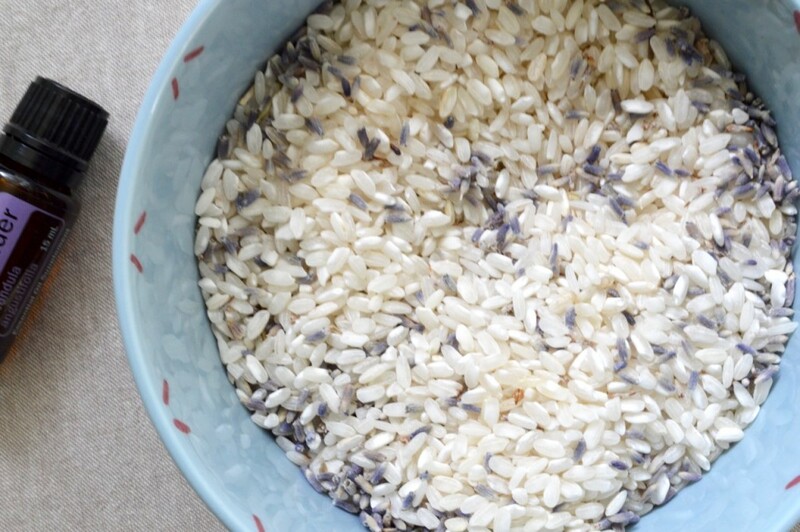 Fill a bowl with 2 1/2 cups of rice, 2-3 Tablespoons of lavender flowers and 2-3 drops of lavender essential oil. Stir together. The lavender scent will be quite strong but don’t worry it will dissipate over time. 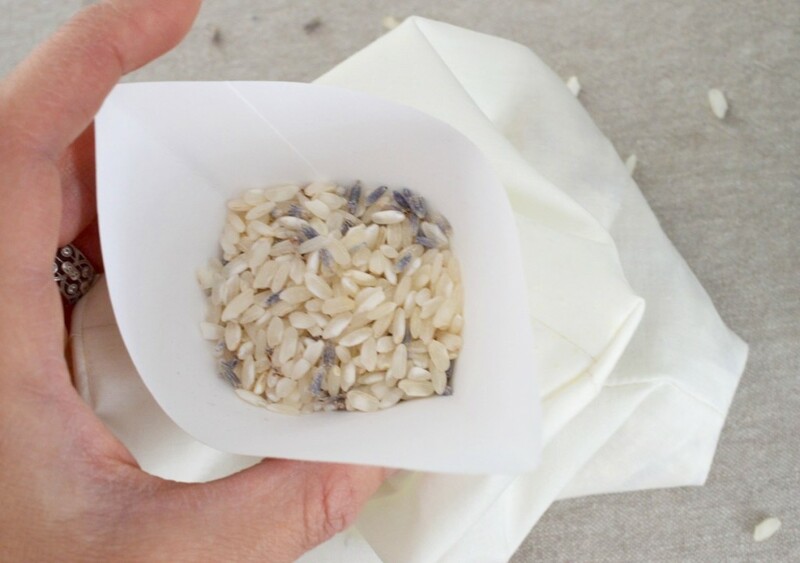 Place a funnel in the opening on the fabric and spoon the rice mixture into the bag. 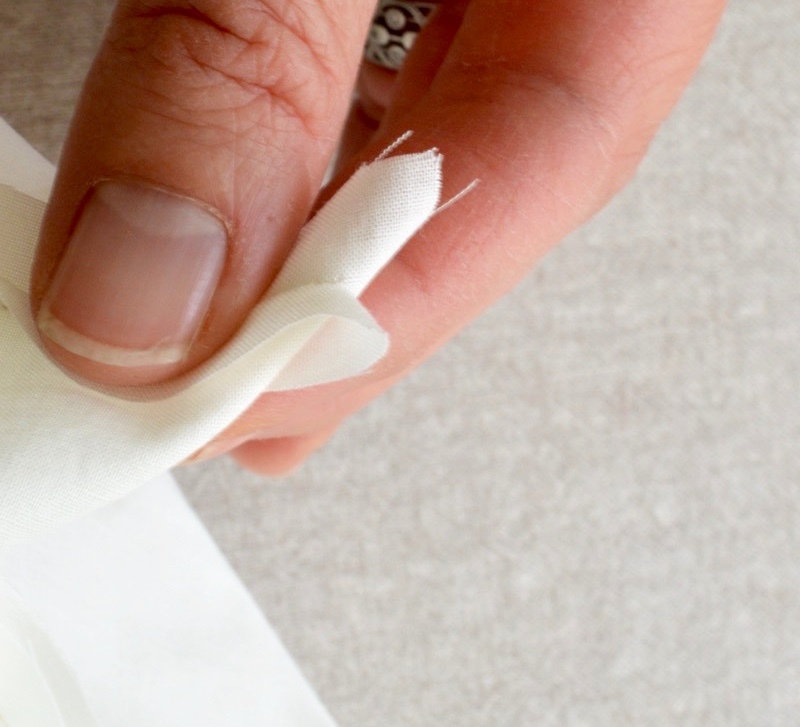 Hint: You can make an easy funnel by cutting off a corner of an envelope and also the tip. Voila! A funnel. 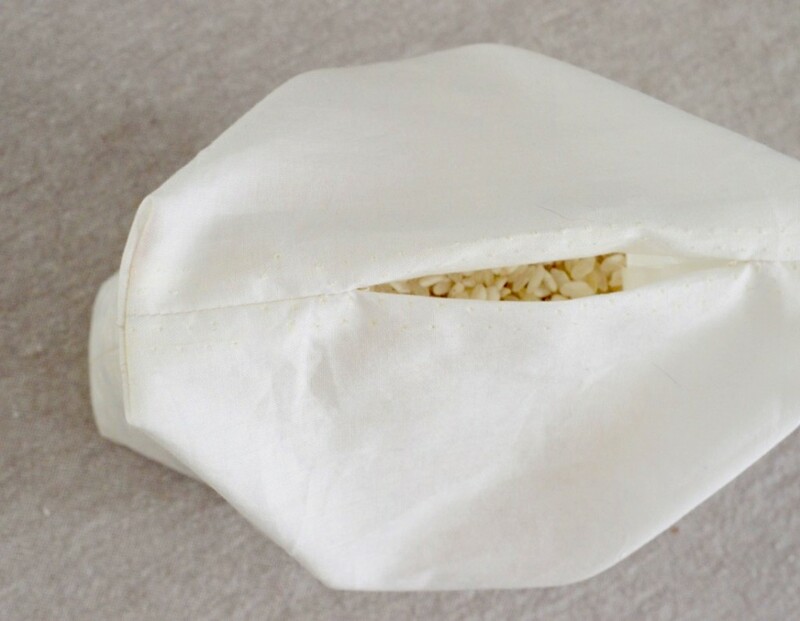 When all of the rice is inside the bag, slipstitch the opening closed. 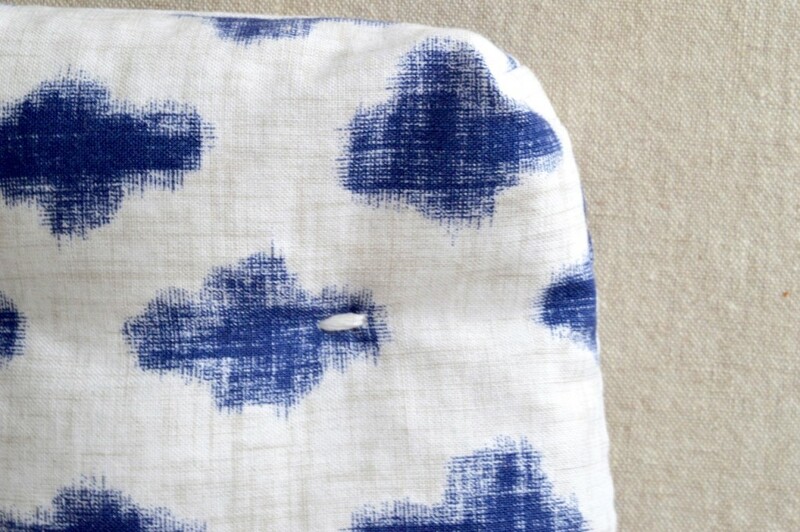 Place the sewn rice-filled bag inside of the sewn printed fabric bag with the slipstitched end heading in first. Nestle the rice bag to fit well inside the printed bag and slipstitch the remaining opening closed. Measure from a corner, around 2″ from each side and stitch two stitches with embroidery thread. Repeat on all four corners and you are done! If you want to try out a more holiday-type of scent, replace the lavender flowers and lavender oil with drops of wild orange and a tablespoon each of cinnamon and whole cloves. 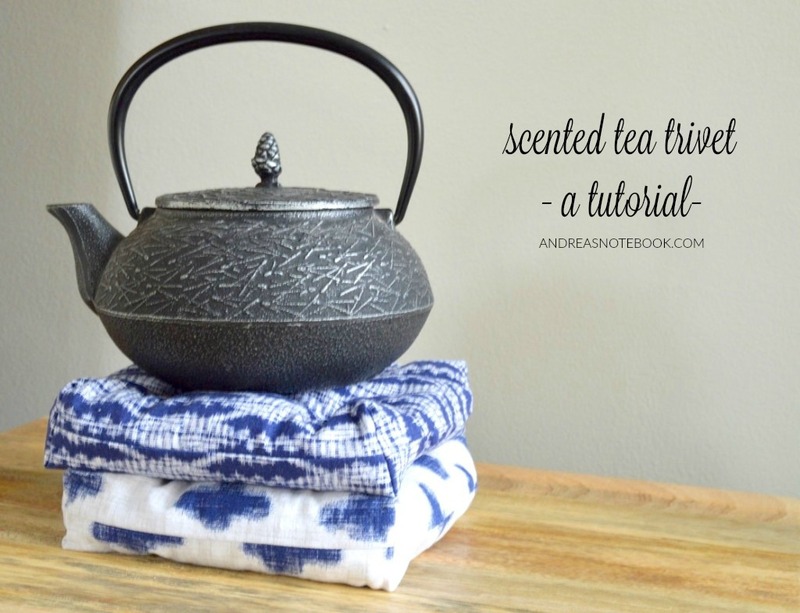 Your next step is to warm some tea and set it on your trivet! That is, if you use it for yourself. If you are giving it as a gift, it’s best to place it in a ziploc bag so the scent doesn’t dissipate too quickly. But, you should probably make one for yourself, too. You might just need it in the next few months. 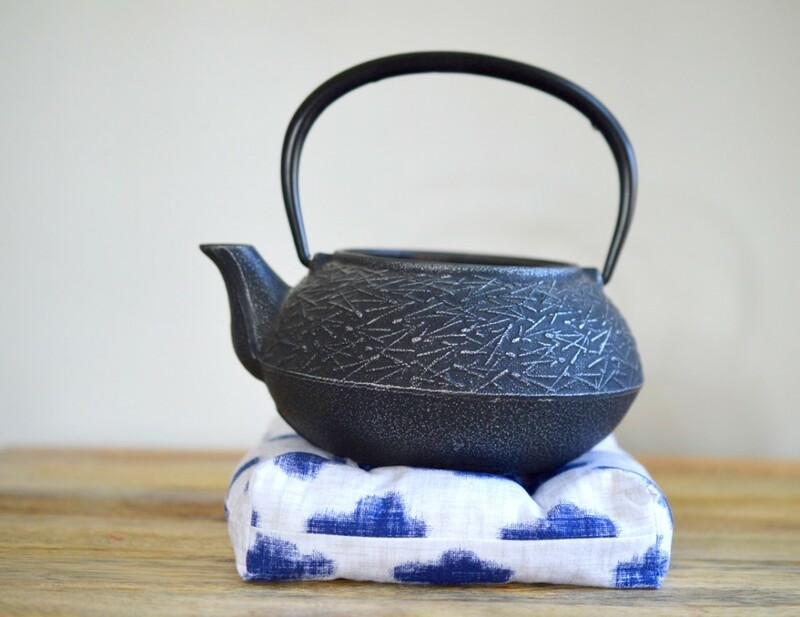 I love this idea and we to made ours with blue and white material to go with our blue white dinner sets, but we filled ours with sage and cinnamon, Bliss, gentle invigorating scent everytime we put the hot pot on it. Really good idea to make these pieces into useful things. Thanks for sharing. Hello friends, I know the simple webpage where you can play sonic games online without any registration or something. For some time I have been living in London and I have been bored with my lonely life. Because I’m not very attractive, the girls do not cling to me. But what is where I can always find a lady who does not bother me.